I recently placed an order to my main essential oil supplier to restock my essential oil stash after the holidays. This resulted in almost $1000 in essential oils, close to 22 pounds! I typically stock essential oils mainly for soap making. I have a separate line of essential oil soaps and in recent years, have developed a few essential oil product lines to include whipped body butters, lotions and roll ons. Over the 14 years that I've been making products, it's amazing to see how my order quantity has increased. I used to place orders for 1-4 ounces of each essential oil at a time. I now order 1-5 lb bottles per scent! Another thing that has changed over the years is the quality of essential oils. For example, I currently stock 4 different types of lavenders! We use different types for bar soap, lotions, perfumes, face products and for selling straight essential oils. While it's easy to want to pick the cheapest essential oils available, there really is a difference between that $30 bottle of ginger and that $200 bottle of ginger! Upon first whiff, they both smell like ginger essential oil, but when you take time to pay attention to the under tones, there is a significant different between the cheap essential oil which is typically distilled from old, dried ginger root and the expensive oil which is distilled from fresh ginger root. This time around, I decided to invest in that $200 bottle and it was worth it! The smell is amazing - very fresh with hints of spice and none of the dirty undertones typically noticeable in the cheaper oil. Maybe you don't have a use for ginger at home so let's talk about another oil that a lot of people do have personal use for - orange essential oil. There sweet orange, wild orange, bitter orange, blood orange - then you can get 5x strength, 10x strength - there are a lot of options for orange essential oil! Now orange essential oils are typically on the lower end of the pricing spectrum when it comes to essential oils. I can get a pound of dark orange essential oils for only $10. While this is a perfect fine essential oil depending on the use, there is a noticeable difference in the aromas. For the longest time I used 10x strength orange essential oil. It's a great essential oil. It's a tart oil that is recognizably 'orange'. Very lovely. But with my $1000 essential oil order, I couldn't help ordering one of those fancier orange and boy where there a significant difference! I ordered a wild orange oil from Belize and I couldn't believe the difference! While both the 10x oil and Belize oil both smelled like orange, the wild orange from Belize was just so fresh and juicy and mouth watering! Another contributing factor to my $1000 order was that we have decided to start selling essential oils at the shop. So many people have been asking for essential oils over the years and with the growing popularity of MLM companies selling overly priced oils, we wanted to offer our customers something in an acceptable price range. 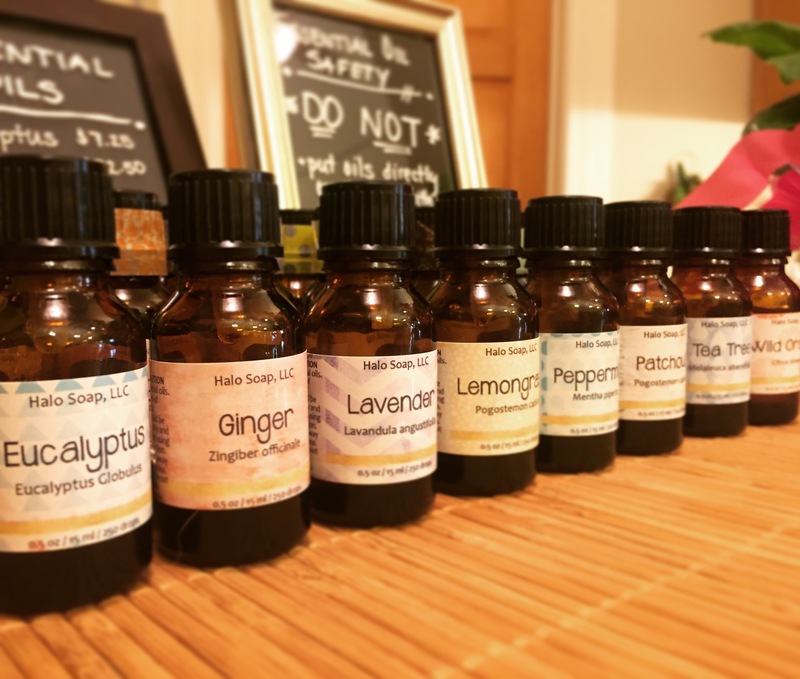 Check out some of our Feature Friday posts for more detailed information on essential oils. And head over to our website for a variety of essential oil products and individual essential oil bottles!